Nick Gunn and his wife were working for her family’s winery. They had the idea to start growing apples for cider. One of the cideries to whom they were selling apples decided to close down and they offered to sell the business to Nick and his wife who moved Wandering Aengus Ciderworks to Salem, Oregon. Now they have two brands of cider. Wandering Aengus is the traditional brand of cider. The Wandering Aengus brand has ciders that are more astringent, more bitter, and higher in alcohol content. “For the wine drinkers, it’s something that’s interesting,” says Nick. They package Anthem ciders mostly in kegs for sale on draft. The goal is to get the word out for distribution in smaller packaging. “It’s a pretty basic model a lot of people have used,” says Nick. In addition to straight apple cider, Anthem also has pear, cherry and hopped ciders. They’re do some progressive forays like gin and whiskey barrel-aged ciders, as well as ciders fermented with bee pollen. Finding good, traditional cider apples is difficult, but Nick is pushing the market. Nick’s favorite apple ciders are blends of sharp apples, bittersweet apples, and aromatic apples. “These heirloom sharps… is a really [high] sweetness level and acidity is off the charts,” comments Nick. But these sharp apples don’t have a lot of tannins. Bittersweet apples contribute tannins to the cider. While Nick is evangelizing about high-quality, hand-crafted, traditional ciders, a different style of cider is gaining momentum across the country. Large industrial companies are making cider with additives and diluted with water. While the product sells well on a large scale, it is expanding the overall market and demand for cider. 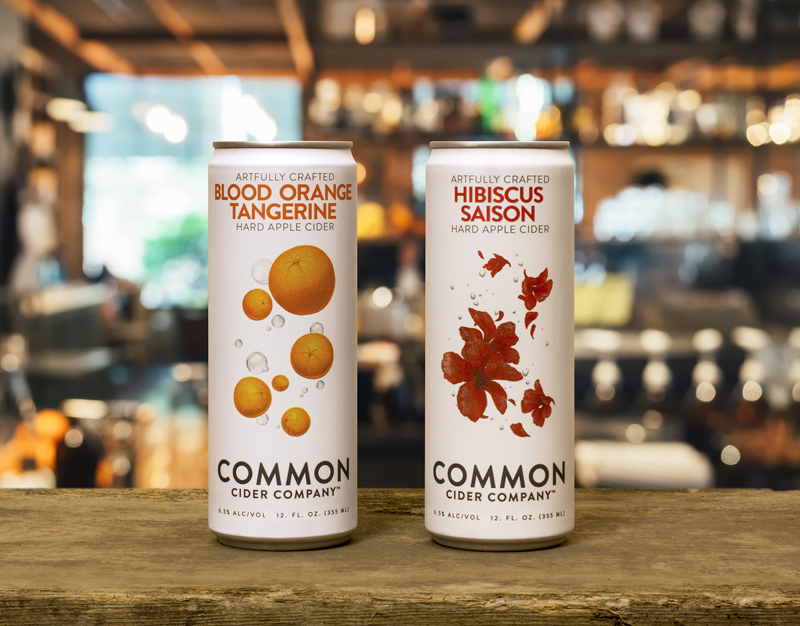 As the larger brands reach into previously untapped markets, they create new spaces for all cider products. As overall demand for cider increases, and a wider variety of cider products becomes more popular, the cider companies are able make larger quantities at lower prices. Nick’s strategy is to have meaningful impact in the markets where craft beer is already growing rapidly. “You’re starting from ground zero, you can explode easily,” says Nick. Yet, cider producers are finding that the industry needs to mature. Particularly, there is a need for more education in cider sales. “Finding a distributor that understands cider is really difficult,” says Nick. As the cider market in America evolves, the industry adapts. Nick foresees an increasing appreciation of drier ciders, and even higher quality cider apples. More cider will be made from heirloom sharps, cider will be fermented drier with higher alcohol content. There will be more barrel aged ciders, and ciders with more tannins. Ultimately terroir of cider will be recognized and appreciated. From Daniel Frey: What accounting system do you use or do you recommend? Cider, Hard and Sweet: History, Traditions, and Making Your Own (Third Edition) by Ben Watson. The New Cider Maker’s Handbook: A Comprehensive Guide for Craft Producers by Claude Jolicoeur. Bethel Heights Vineyard, Salem, Oregon. CiderDays, community celebration of all things apple in Franklin County, Massachusetts. QuickBooks Enterprise, Manufacturing & Wholesale, Intuit, Inc.
2 Towns Ciderhouse, Corvallis, Oregon. Reverend Nat’s Hard Cider, Portland, Oregon. Vander Mill, Spring Lake, Michigan. As soon as Mark McTavish could acknowledge alcohol, he gravitated toward hard cider. Later, he attended beverage management school and opened a craft beer bar in Toronto, Canada. Now in the U.S., Mark owns a cider distribution company and 101 Cider House in Los Angeles, California. Mark had a long career in the fitness business, selling exercise equipment and helping gyms get started. He is very health conscious and this comes through in his hard cider. 101 Cider House focuses on a “healthy” alcoholic beverage. All of 101 Cider products are: raw, living, and probiotic. The hard cider market is absolutely exploding, with 500% growth in the last 3 years. Besides the general growth, Mark is tapping the health foods sector. They don’t add any unnecessary or unexpected ingredients to the cider, not even yeast. “Cider is like wine,” he says. “You can press the fruit naturally, let juices sit their and do its own thing with its indigenous yeasts, and it will tell you what it’s going to do with itself. Size and quantity of fermentation tanks: 8, 2000-gal (64-BBL) poly tanks; 6, 275-gal (9-BBL) poly tanks; 50, 55-gal (1.75-BBL) oak barrels. Size and quantity of bright tanks: 0. Not required as we bottle-condition and keg-condition all product. Annual brewing capacity/last year’s production: 50,000-gal capacity. Square footage: 7000 sq. ft.
Years in operation: 10 months years (opened December 2014). From Rob Lightner: Has your brewery turned out the way you thought it would? And if not, how is it different? Half Pint Ciders, Westlake Village, California. Tilted Shed Ciderworks, Windsor, California. Devoto Orchards Cider, Sebastopol, California. Why Your Supermarket Sells Only 5 Kinds of Apples by Rowan Jacobsen, Mother Jones, March/April 2013. Danny Robinson had the choice of building a giant brewery in the middle of nowhere, or a tiny brewery right on the beach and boardwalk. He chose the later and made Backshore Brewing Co. in Ocean City, Maryland. It seems to be working. In a town whose population fluctuates from 3,000 in the winter to 300,000 in the summer, Backshore has a 1-BBL brewhouse and has beer made under contract to meet demand. I first heard about Backshore Brewing from Alexis Irvin, who spoke with us on MicroBrewr Podcast 040. Check out episode 40 to hear about Blood, Sweat, and Beer documentary and to get a coupon code for 20% off the price when your order a digital download of the movie. Get really deep with the math. Get a mentor and find more mentors. Be honest with yourself, but keep trusting yourself. Don’t underestimate the power of packaging and marketing. Size and quantity of fermentation tanks: 4, 2-BBL fermenters. Size and quantity of bright tanks: 2, 2-BBL bright tanks, sometimes used as fermenters. Annual brewing capacity/last year’s production: Brewed 200 BBL last year, contracted 400 BBL for distribution. Square footage: 600 sq. ft., with 500 sq. ft deck. Years in operation: 2.5 years (opened May 2012). From Federico Nussbaum: How can we find out how many beers to have on tap in the start? How can we find out which styles to serve in our local area? How to Win Friends & Influence People by Dale Carnegie. MicroBrewr 040: Keep persevering to get to the end, December 16, 2014. MicroBrewr 015: Randal Denver’s advice for a homebrewer who wants to become a professional brewer, June 28, 2104.